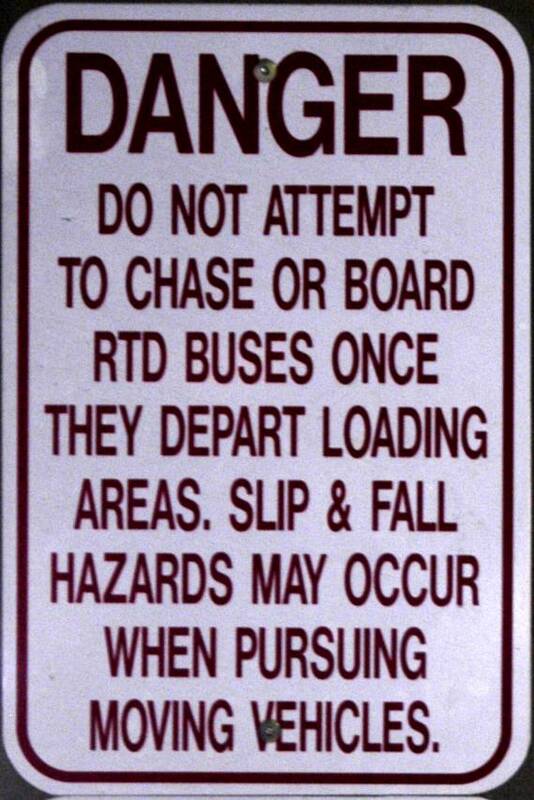 See also Animal Signs, Stop Signs, and Other Traffic Signs. 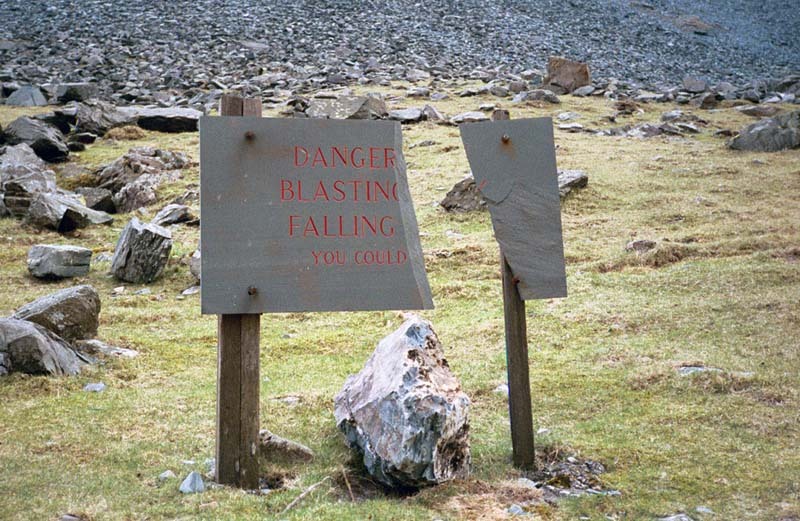 Beware of fallin...erm...yes (Lake District, England, 2002). 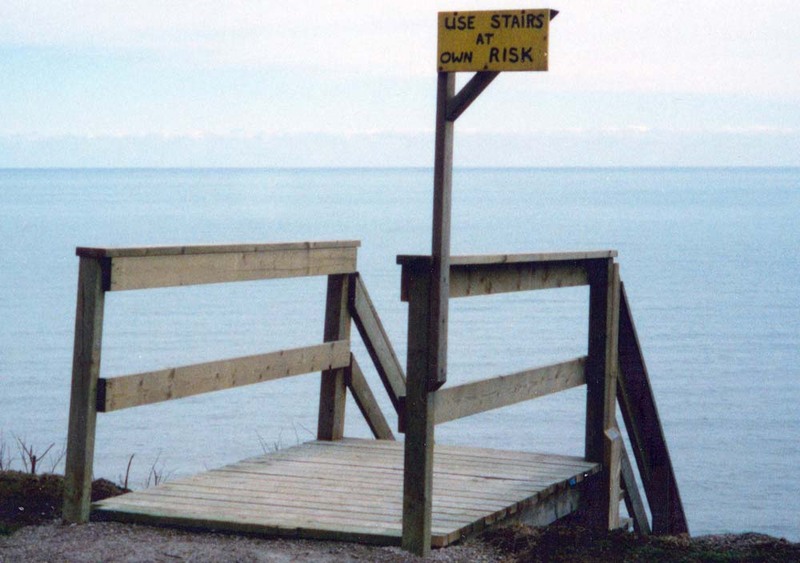 Normally I use stairs at someone else's risk (near Port Glasgow, Lake Erie, Ontario, 1998). 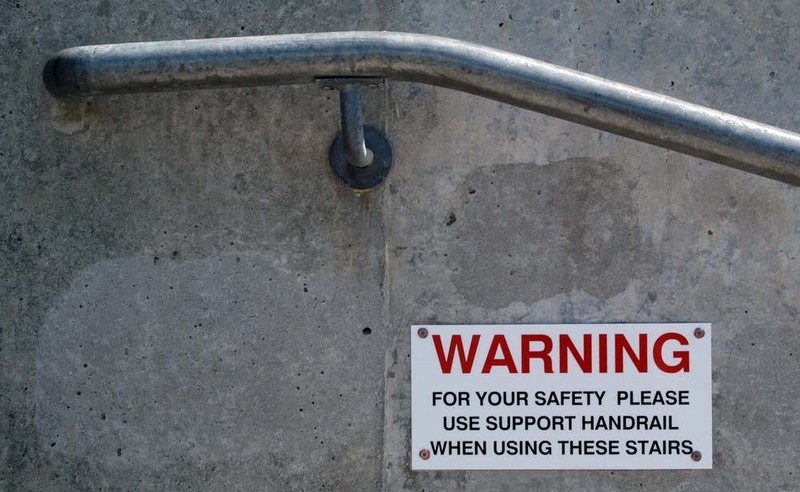 And remember to lift only one foot at a time (Wellington, New Zealand, 2005). 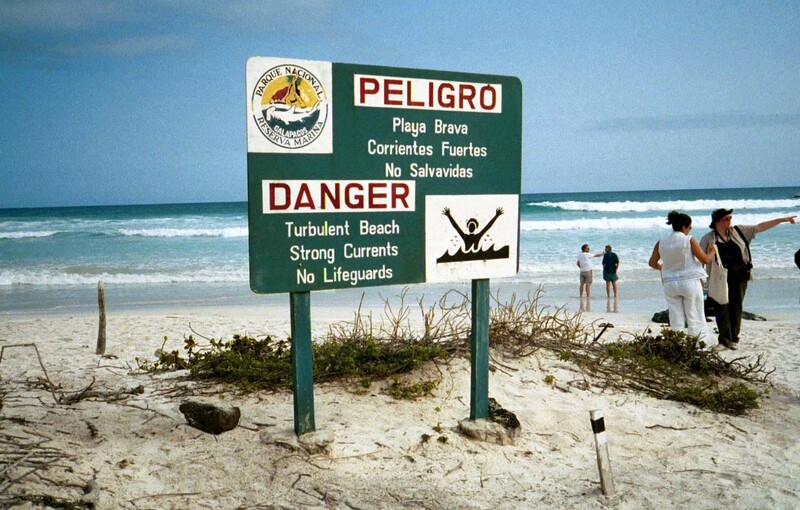 But it doesn't say "No Swimming" (Bahía Tortuga, Isla Santa Cruz, Galapagos Islands, 2004). 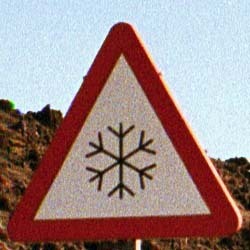 Unusual warning sign conditions may also be present (Niagara Falls, Ontario, 2008). 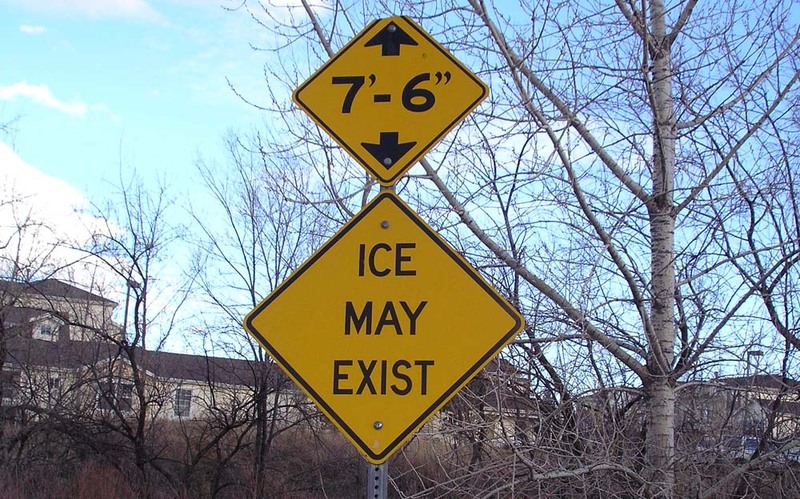 More existentialism: And the ice may be 7'6" (Boulder, Colorado, 2005). If you cannot work this out for yourself... 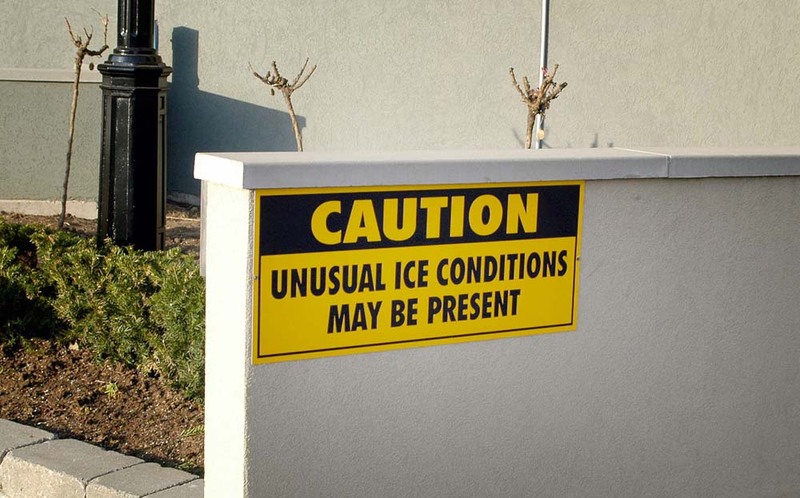 Although now you can't sue. (Boulder, Colorado, 2005). 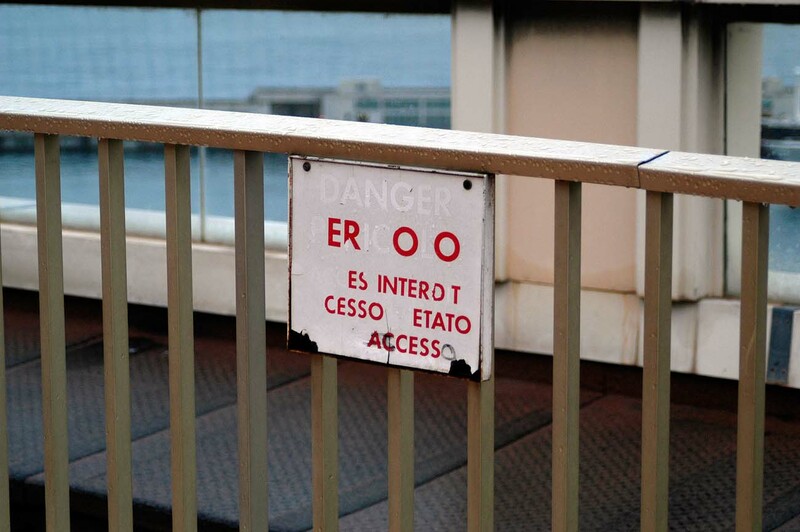 Danger: Key letters are missing from this sign (Monaco, 2009). 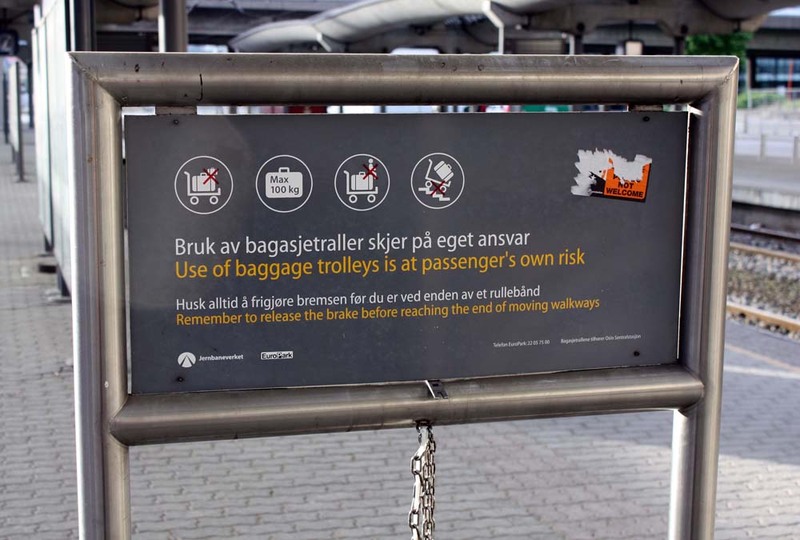 If I get hurt not using a baggage trolley, can I sue? 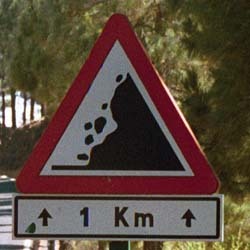 (Oslo, Norway, 2009). 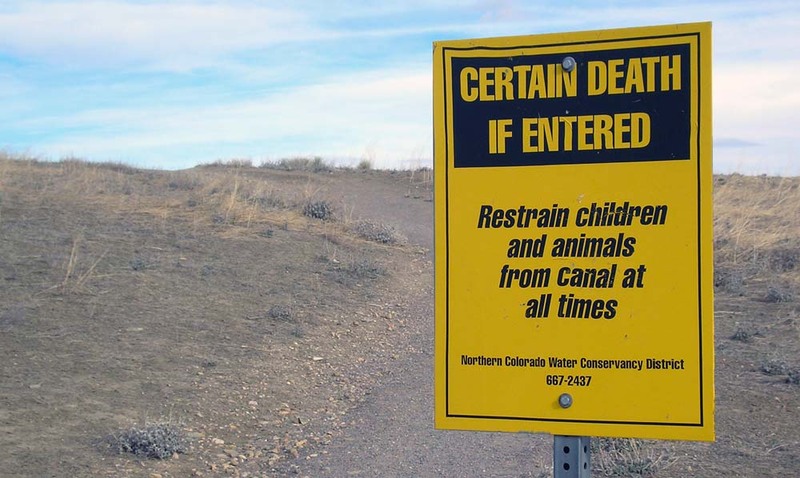 Subtle hint (Boulder Reservoir, Colorado, 2005). Could you read this message if you were drunk? 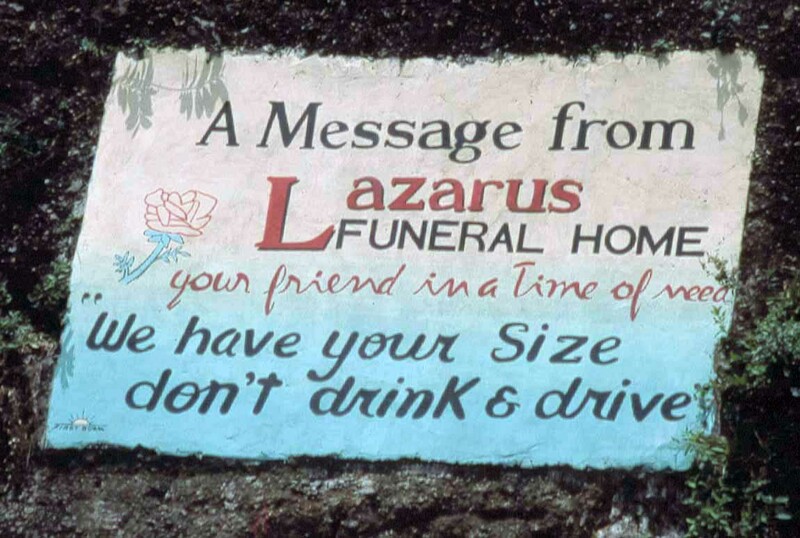 (St. Lucia, 1998). 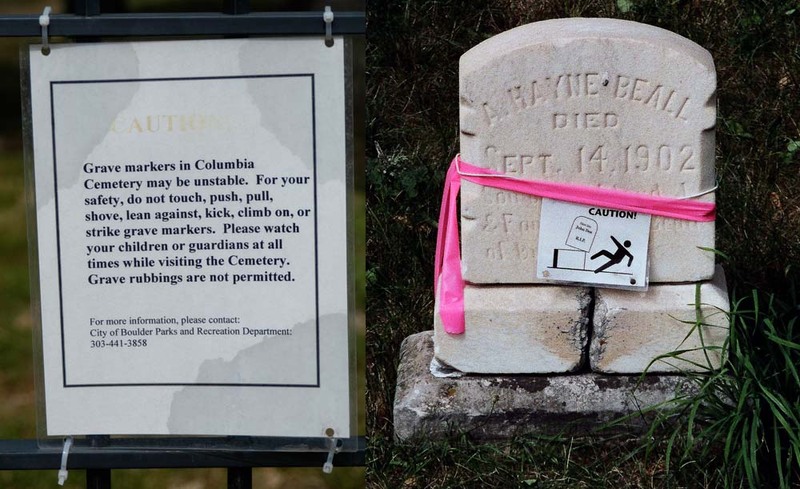 It would be embarrassing to be killed by a tombstone (Boulder, Colorado, 2005). 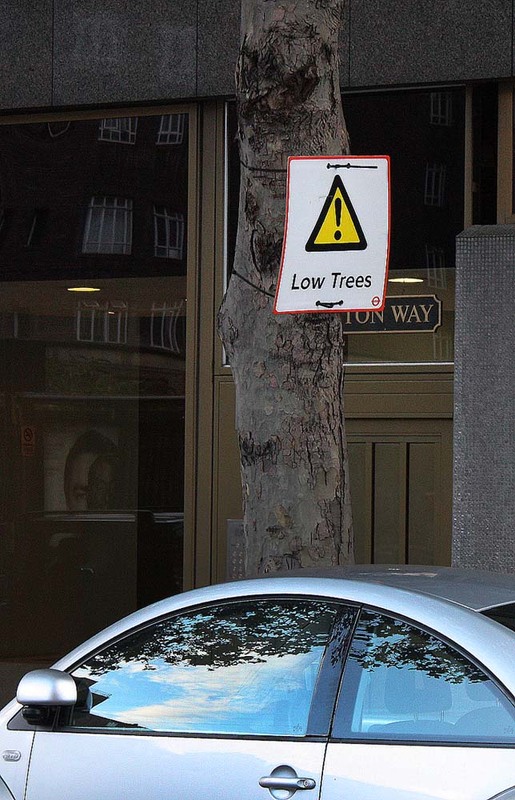 These trees are so low that they even reach the ground (London, U.K., 2010).